Dominic Jose understood that luxury has a new definition. It's not ostentation, but the experience that matters. Anjuli Bhargava on the hotelier who made home-grown tourism a grand success. Life usually refuses to go the way you planned it. Out of Loyola College in Chennai and working for A F Ferguson's in Mumbai, Jose Dominic had his life charted out. The West beckoned and he was set to leave for Dubai or the United States, with his wife in tow, to make a career for himself in consulting and tax advisory. The eldest of five brothers, his father's sudden death forced Dominic to come back to Cochin (now Kochi) in 1977 to take charge of the family business. His siblings were still in school. Dominic's father, a farmer, had set up the Casino restaurant and added 30 rooms to make it into a full-fledged hotel on Willingdon Island. It was business as usual till the then prime minister Rajiv Gandhi went to Lakshadweep's Bangaram island for a holiday in 1987. Post his vacation, the government decided to privatise the only resort on the island. All the big guns of the industry had decided to bid and Dominic, too, decided to give it a shot. He didn't think he had much of a chance, but the advertisement said that those who expressed interest would be taken across to the island via helicopter. "Reaching Bangaram in those days could take weeks by ship. The fact that those who expressed interest would be taken there by chopper decided it for me," he recalls. Dominic, like most others, could not quite believe what he saw. The island was spectacular -- virgin to the extent that it looked as though no human had stepped there before, with white sandy beaches and nature at its pristine best. The government property was quite run down. A senior government officer accompanying them casually asked those present what they would do with the property and many of them came up with suggestions that would cost several crores of investment. At the time, in 1988, even Rs 1 crore (Rs 10 million) was not a sum Dominic could think of, let alone raise comfortably, so he was forced to come up with a proposal that could be implemented in a few lakhs. He took a big gamble and said he'd re-commission the hotel in three months and would keep it as close to nature as possible. Call it a reflection of the simplicity of the times, but it was Dominic's proposal that struck home. 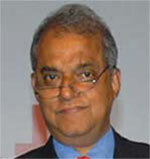 He won the bid for the country's first island resort at Bangaram for 25 years. Back in Delhi, the then tourism secretary was aghast that an unknown group had been given the contract and was convinced it would fail. To make sure that the government's neck was not on the line, he imposed the strictest ecological conditions. This turned out to be the greatest blessing for the project and it set the tone for the Casino group's future projects. When it had to price the hotel, the Casino group found that its clientele mostly comprised people coming from overseas, choosing Bangaram over the Maldives and staying a night in Mumbai before making their way to the resort. Most people stayed in Mumbai at the Oberoi Towers that were newly opened in 1986 and paid $180 for a night. So, Dominic chose an identical price tag for rooms at the resort. "If the clients could pay that much en route, they could pay it for the final destination. That was our logic," he says. Everyone -- the travel trade and agents in particular -- was aghast. The Oberoi was, after all, the Oberoi and the Casino was an unknown group. Moreover, it was offering glitter, marble, chandeliers -- a virtual palace -- while Casino could offer not much more than mud and thatch huts. How could they price themselves on par? But the gamble paid off and the rest, as they say, is history. By 2009, the resort sold at $450 a night and despite the high price point, it was hard to get a room. From a drought of airlines going to the island, it became a flood and the Bangaram Island resort was a rocking hot spot. Bangaram taught Dominic one thing: Luxury has a new definition. It's not ostentation, but the experience that matters. With that in mind in 1991, he set up Spice Village in Thekkady, a tribal village in a spice garden, with the same principles: Indigenous, maintaining the local architecture, no television or air-conditioning and in harmony with nature. The staff wore lungis. The Spice Village became an extraordinary success in a very short time. That gave Dominic, left, the confidence that this new thinking was the way forward. Around the same time, many locals were breaking down their old, heritage houses and building concrete, mosaic and modern structures for themselves. Dominic spotted an opportunity -- he bought the old houses at throwaway prices. 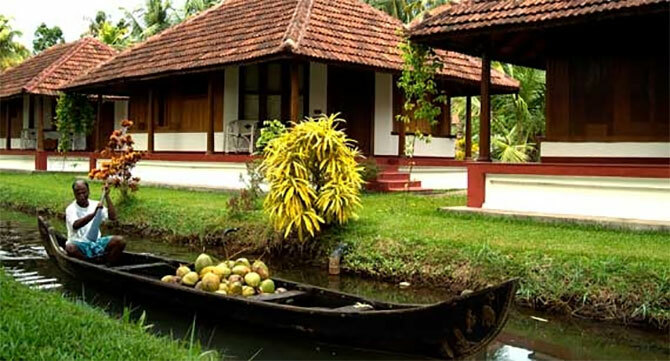 He transported around 40 houses to the backwaters and in 1993 set up Coconut Lagoon -- an assembly of old Tharawad houses of Kerala, which maintained the principles of Bangaram. Normally, by December, the foreigners would have booked up all the rooms. But now these were going empty. Discounts to lure local tourists were offered and Coconut Lagoon became an extraordinary success, even among Indians. From there, Dominic continued his expansion slowly within the state (he now has 19 properties in Kerala and a few in Tamil Nadu). Over a period of time, he added house boats, the Marari beach resort (with village-style fishing), the colonial-themed Brunton Boatyard in Fort Kochi (opened in 2000) and, most recently, the Wayanad Wild. In 2004, a Palakkad lady who owned a palace invited Dominic to take up her property that was 'falling on their head' and asked him to refurbish and run it. But she had three conditions. One, no one had ever eaten meat in their house, nor had alcohol ever been consumed within its walls. Even when Lord Willingdon had visited, her grandfather had to request him to take off his shoes as even leather was not acceptable. But what kind of hotel would ban meat, wine and shoes? The Casino group head thought about this, took the palace on lease and converted it into an Ayurveda hotel. As he now eyes northern states more, it is Madhya Pradesh with its rich tribal culture that has caught his attention. A new journey, outside his home state, is on the cards. Why a trip to Landour and Dhanaulti is a must!